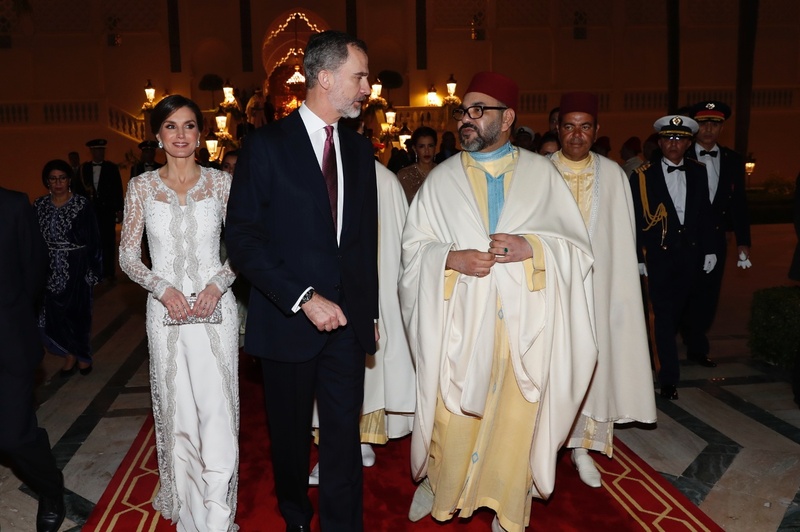 After receiving the official welcome and a meeting with Moroccan King Mohamed VI, King Felipe and Queen Letizia of Spain joined the Moroccan Family for a gala dinner at Rabat Palace. 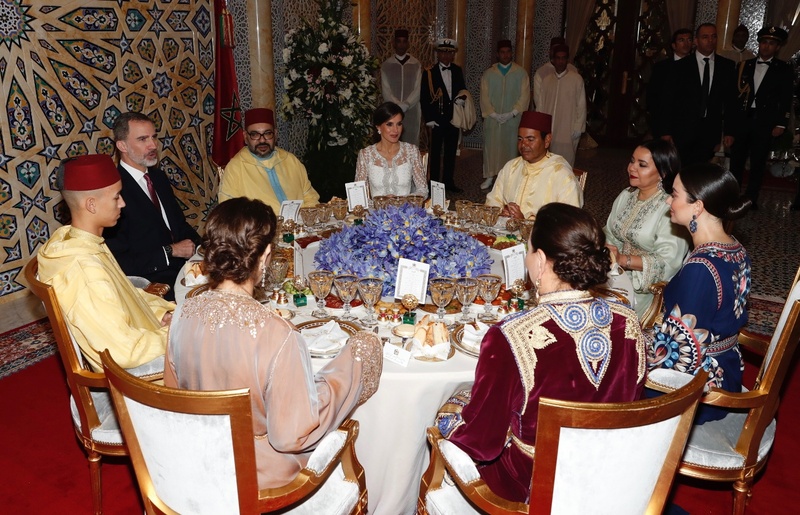 The gala dinner was hosted by the King Mohamed VI in the honor of Spanish King and Queen. King and Queen arriving for Gala dinner. 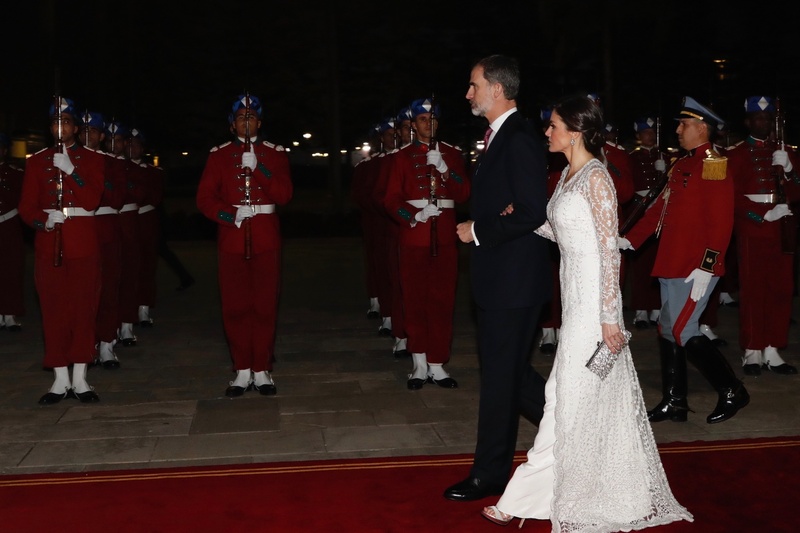 Upon arrival Spanish Royal couple was received by Moroccan King and his family. The dinner was also attended by the delegates of both countries. A view of the dinning hall. The dinner menu has many local delicacies on it. 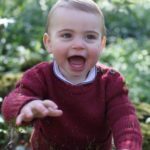 A video of the gala night. 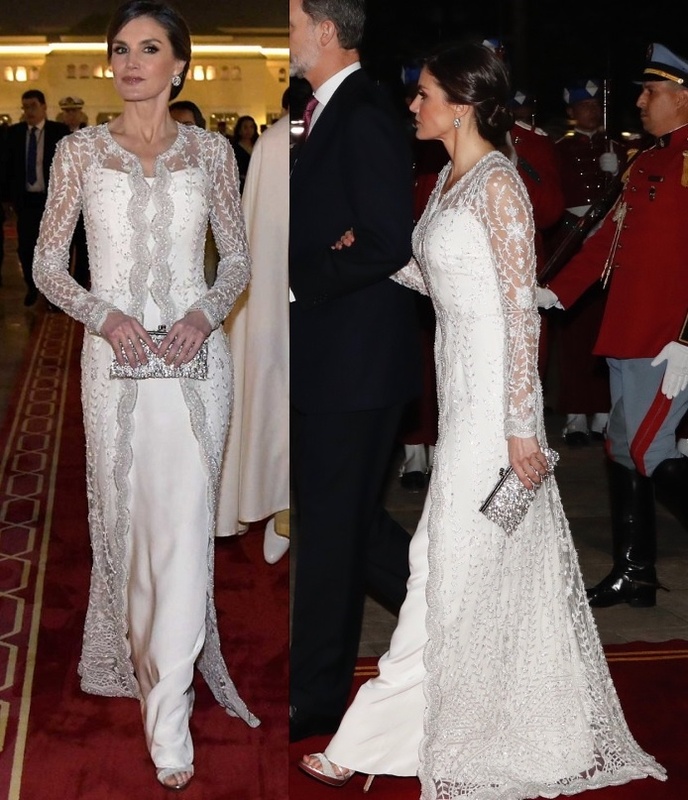 For the night, keeping the customs and traditions of the host country in thoughts, Queen Letizia chose a very stunning white bespoke outfit from Spanish label Felipe Varela. 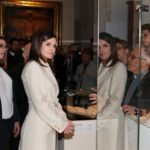 Letizia wore a white silk gown with straps and chose a white tulle tunic adorned with floral motifs that has a scalloped front top closure. 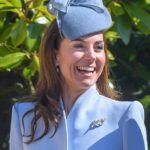 The design is quite similar to Letizia’s another pink Felipe Varela dress. 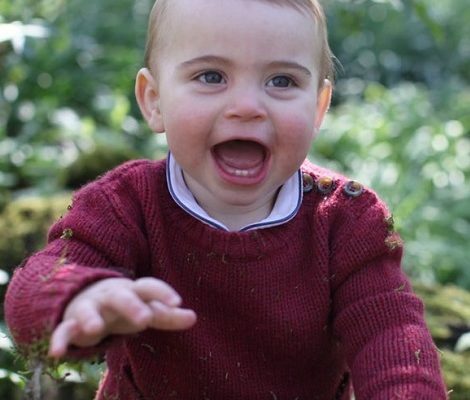 A closer look at the intricate detailing of the dress. 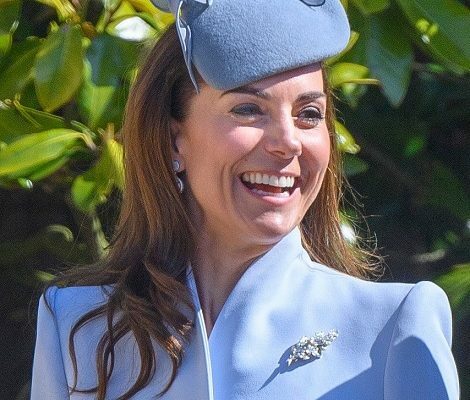 Queen paired her outfit with matching jeweled handbag from the same label. 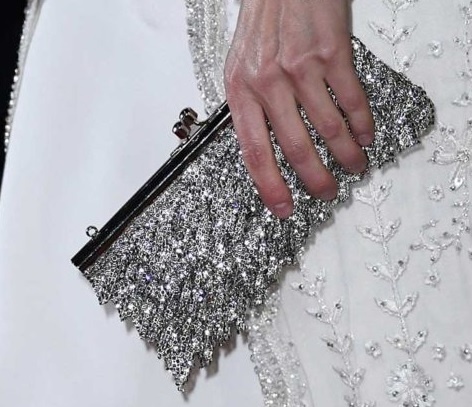 She was first seen carrying the bag at the wedding of Nicolás de Grecia with Tatiana Blatnik in August 2010. Putting the trust in her favouite shoe brand Magrit,Letizia chose a silver Hera sandals in white and gold (shown here in silver).